you might have to go to your firewall settings and allow a program through and browse for -qt.exe that would be my next step. it may be an antivirus firewall program you have or something not letting it go through for some reason. You did indeed say that, and I totally missed it. I guess I stopped reading to go check the firewall and didn't read the next sentence lol. Yes sir, the more the merrier. Glad your all set. Happy to help. I have the new wallet but only one connection to the network, any ideas? Does it sync up? You might need it to stay open a while. I just turn mine on and have 3 connections. I have problem with wallet sync too. My wallet can't connect to any of official seed nodes. I wait 24 hrs and still have 0 connections. Please give me peers.dat from workinf wallet or tell what nodes i shall add to config. Hello, Really you shouldn't need a conf file unless you plan on solo mining. Clear that out, delete your peers.dat and blk0001.dat and blkindex.dat and see if that works. Let us know. This wallet used on the mining pool. 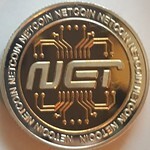 Compiled from .git" rel="nofollow" target="_blank">github.com/netcoinfoundation/ .git month ago. everything will be ok until we try to resync blockchain. All files exclude wallet.dat and .conf will be deleted and after that wallet won't sync. Usually i don't touch peers.dat by this time i delete it too. and see if it's downloading blocks. Nothing will show unless you hover over this area. Also check your firewall settings. Yes i'm using version 1.2.0.0 daemon under Debian linux.